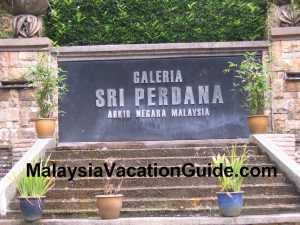 Galeria Sri Perdana was the former official residence of Tun Dr. Mahathir Mohamad, the fourth Prime Minister of Malaysia. 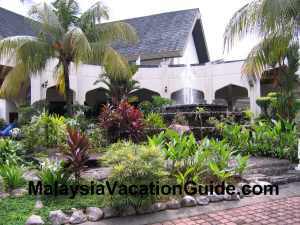 It was Tun's residence from Aug 23, 1983 to Oct 18, 1999 before it was relocated to Putrajaya. 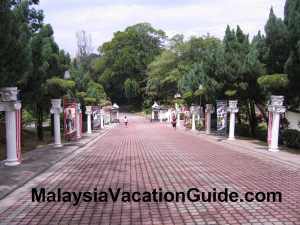 Dr. Mahathir was the Prime Minister of Malaysia for 22 years from 1981 to 2003 before handing over to Tun Abdullah Ahmad Badawi. The signage as you approach the galleria. The road leading to the building. 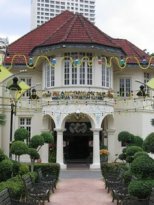 This residence has been converted to become a gallery that is part of the Malaysia heritage conservation. 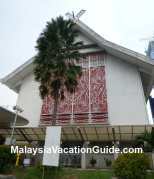 This place is located at Jalan Terenggau, Off Jalan Damansara. Plan to spend about an hour here to look through this three floors house. 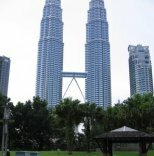 Artefacts and personal collection of Dr. Mahathir are exhibited here. Main Lounge is the section where official guests of honour were received. Conference Room is the place where meetings were held with NGO and the public. This is the place where the results of the general elections were telecast. Ante-Lounge is the holding area for the guests before a meal. Banquet Hall has seating capacity for many guests and is designed using wooden wall. Barber's Corner is the room where the Prime Minister trimmed his hair. Fully equipped facility such as reclining chair and other tools are on display here as well. Wood Crafting Room exhibits the wood work and the machines used by the Prime Minister. Banquet Kitchen is the place where meals were prepared. Theatre with 32 seating capacity. Caps and Shoes section displays the personal collection of the cap, shoes and walking sticks used by the former Prime Minister. Main Bedroom & Dressing Room of Tun and his wife which include cupboards, chairs, tables and bed. Reading Room has a collection of books. This is also the place where Tun wrote his speeches. Family Pantry is the place where daily meals for the family were prepared. The Balcony overlook the city of Kuala Lumpur. There is a telescope installed here as well. Souvenirs and Gifts received from the various organizations and heads of government are on display here. Rooms of Marina and Maizura, bedroom for the guests together with the cupboards and tables can be seen here. Main Kitchen was the place where mass cooking was done. Diorama of chefs cooking the meals are exhibited here. Laundry Room has washing machines where the clothes were washed and iron. Machines activate automatically when visitors enter the room. Motor Display Corner is located at the main entrance of the building. There are a few cars and a motorcycle on display here that were used by Tun. 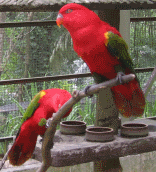 Green House and Aviary are located at the compound of the building. The vehicles given as gifts to Tun Mahathir. The view of Kuala Lumpur skyline from the galleria. The best way to get here is by taking a cab or drive yourself. If you have a GPS, the coordinates to key in are N03° 08.587' E101° 40.470'. This galleria is closed on Mondays except when it coincides with public or school holidays. Entrance to the galleria is free of charge. There are ample parking bays beside the building.